Boulder is a 45-minute drive from Denver International Airport — only 15 minutes longer than the drive from downtown Denver — along an easy stretch of Highway 36. 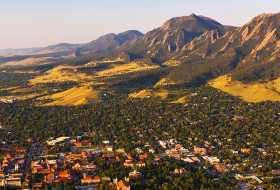 As your meeting attendees make their way into Boulder, cresting the hill known as Davidson Mesa and looking down into the Boulder Valley, you may hear a few gasps. It&apos;s a breathtaking view of the city spread out before you, cradled by the red sandstone and pine-dotted foothills and with glimpses of the white-capped Rocky Mountains beyond. 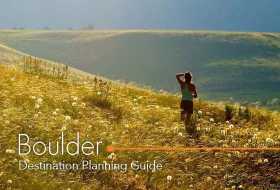 With a little planning, the pleasure of arriving to Boulder can be easily continued as you transport your group around this well-laid-out city. 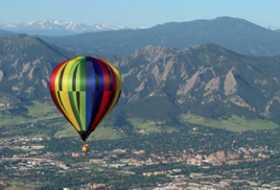 Below are some tips for arriving to Boulder and getting around once you’re here. Denver International Airport (DIA), pictured above, is 42 miles away, served by 25 airlines and with approximately 160 daily nonstop flights from major U.S. cities. 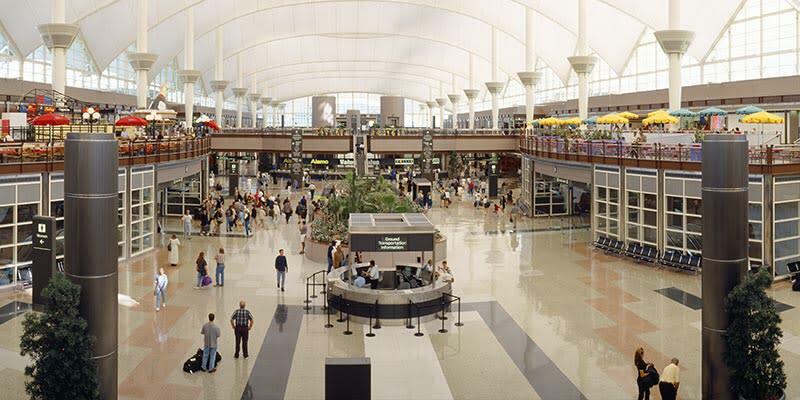 Among many awards, Skytrax World Airport Awards named DIA No. 3 Best Airport Serving 50-60 Million Passengers Per Year (the highest among U.S. airports). 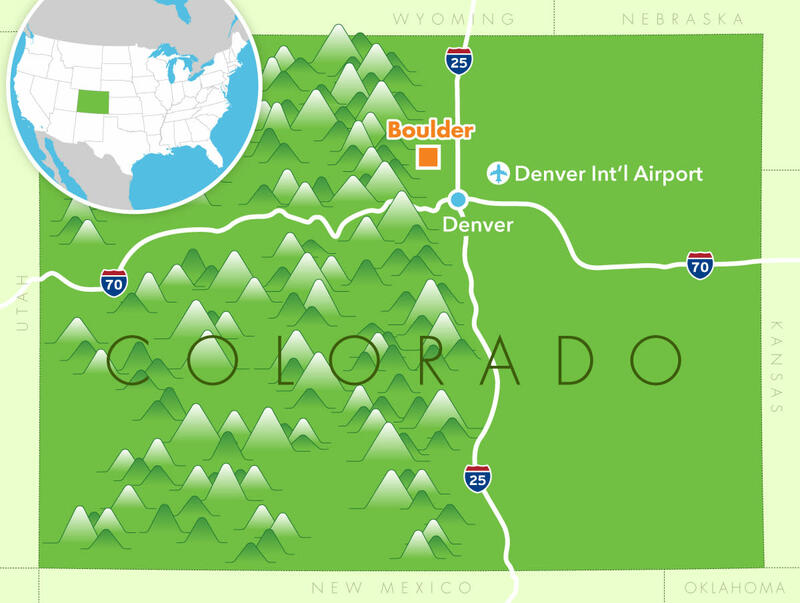 With accessible roadways year-round, driving to Boulder from DIA is easy. Without Tolls: Take Peña Boulevard and merge onto I-70 west. Take I-70 to I-270 west. Continue onto Highway 36, which will take you to the east side of Boulder. This route is free of tolls and takes about 45 minutes during non-peak traffic hours. With Tolls: From Peña Boulevard, take the toll road exit north (E-470 north to the Northwest Parkway toward Hwy. 36 West/Denver Boulder Turnpike). Exit onto Hwy. 36 and continue west into Boulder. Please be aware this route has tolls, and if you are renting a car, you will need to make arrangements with your rental car agency. Green Ride Boulder is a reliable provider, delivering guests directly to many of Boulder&apos;s hotels or other locations. Rates, schedules and details are available on the Green Ride website. Boulder Transport provides luxury limousine, airport, and contract transportation services in Boulder, Colorado. 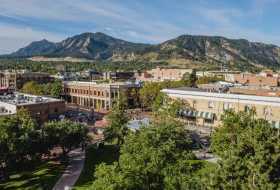 Meeting planners find it&apos;s convenient to hold a "walking conference" in Boulder&apos;s compact downtown, with conference hotels and great venues in one easily walkable area. 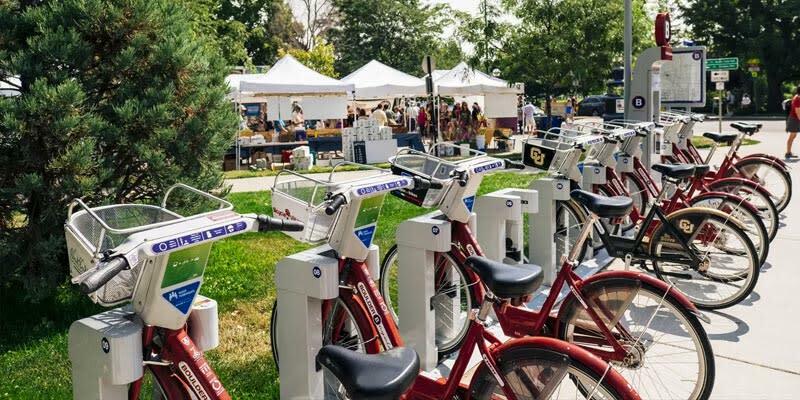 Public bike-sharing kiosks, called B-Cycle are located throughout Boulder and make it fun and easy to pedal from station to station at an affordable rate. Boulder’s in-city bus routes (named the Hop, Skip and Jump) offer another way for attendees to get around town. The regional bus system, Regional Transportation District (RTD), can also help attendees travel throughout the entire city and to nearby towns and Denver. The downtown bus station at 14th and Walnut is a convenient hub for getting around town, to nearby towns, and to and from the airport via Route AB.